At the Club's last meeting of this Rotary year, the Club acknowledged David Wells thirty years as a member of the Club. 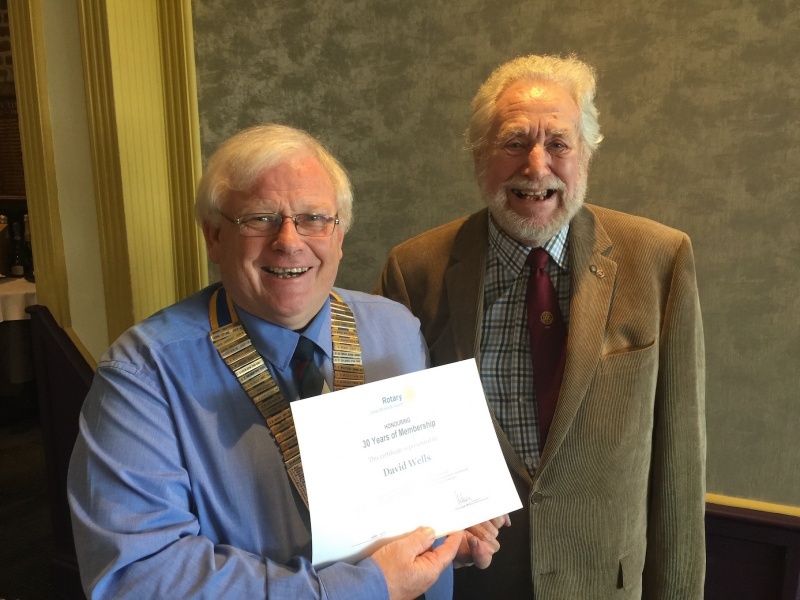 Club President Ian Dunkerley presented Davud wiith a long service certificate, signed by 'Ravi' Presient of Rotary International. David also received a personal letter from Ravi, congratulating him on his achievement.